Despite also being a karate black belt, Tom Dawkins’s first love was ballet. After years of being teased, Dawkins embraced the vitriol and morphed into Cara Noir, a half-bird, half-man of few words, and very bizarre actions. 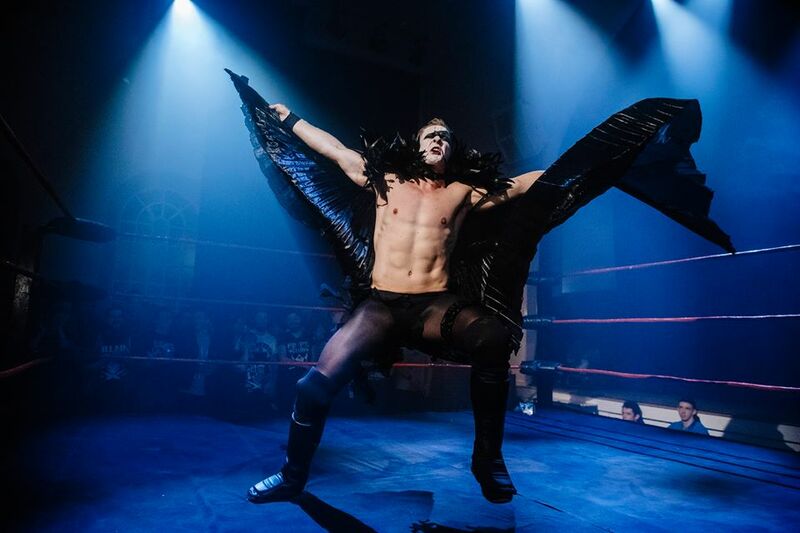 Cara Noir earned himself a spot in the Brighton Championship Tournament in August 2018, but was defeated by Candy Floss - who he had tormented since his debut almost a year prior. In an unexpected change of heart, Noir saved Candy from being decimated by Money vs Everybody - seemingly coming to his senses over the pain he had caused. While Cara’s motivations are still ambiguous, his talent is not. His contest with ‘Speedball’ Mike Bailey at Black Water 2018 - a spellbinding, hard-hitting affair laden with trademark Cara Noir eccentricity - was voted the RIPTIDE fans’ Match of the Year. You never know what to expect with Cara Noir, but it’s unlikely you’ll forget it once you’ve seen it. A range of Cara Noir merchandise can be bought over at Cara Noir’s webstore.